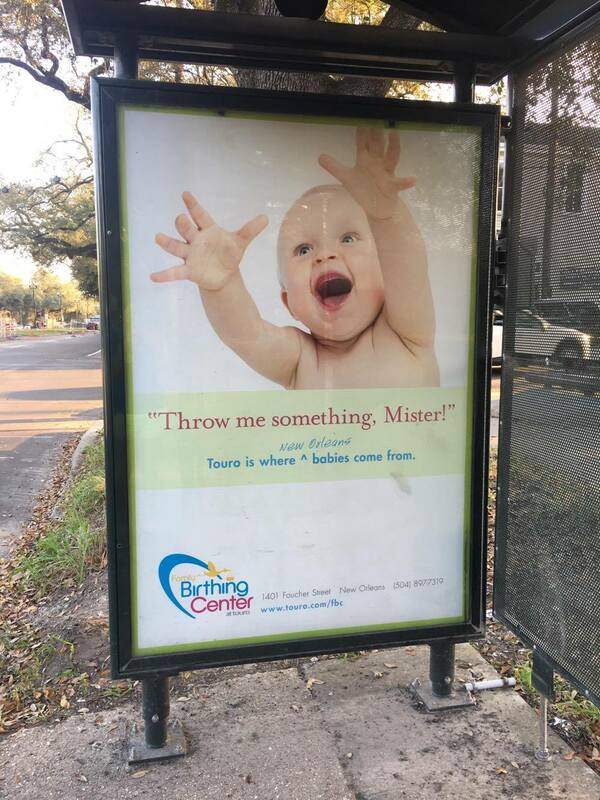 Not from NOLA? 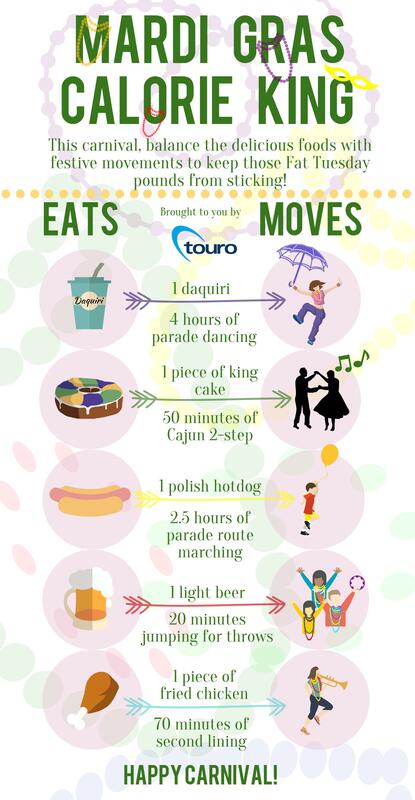 Check out our Mardi Gras Lingo Guide. Bayou Rum is boasting delicious Carnival cocktails as well as a limited edition commemorative bottle cover – a beaded “jacket.” The jacket is a nod to the famous Mardi Gras beaded necklaces and elaborate outfits with traditional colors and sewn on beads. The brand and its beaded jacket are definitely ready to hit the parades; just look at this jazzy dance! Their desserts are so good, they even made the news! Windsor Court Hotel offers a new take on one of their regular events, this time a King Cake Tea – complete with traditional king cake, décor and cocktails. 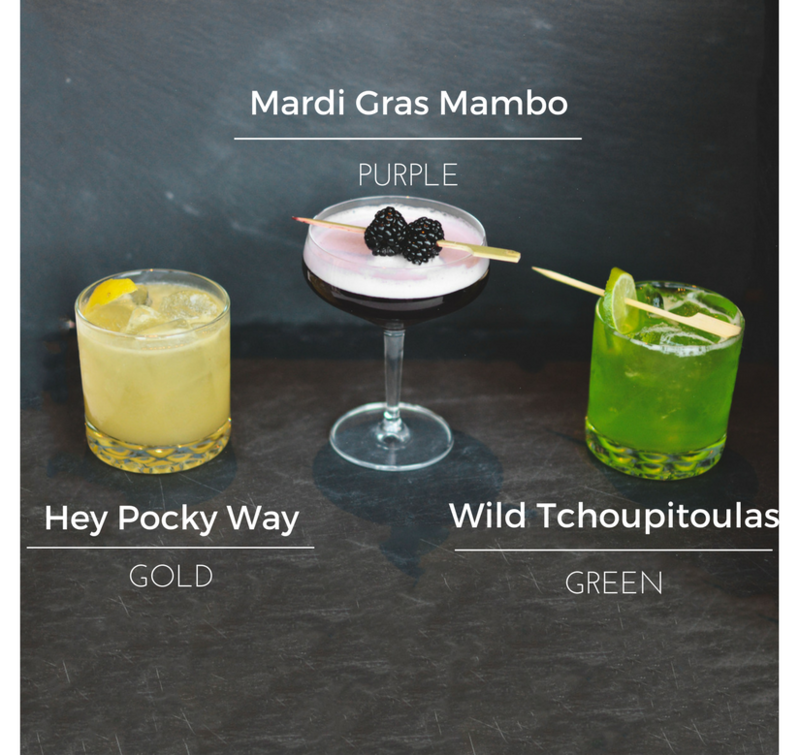 The Cocktail Bar at Windsor Court Hotel is getting their patrons in the Spirit with their inspired Hey Pocky Way (gold), Mardi Gras Mambo (purple) and Wild Tchoupitoulas (green). During Carnival, Fridays are for King Cakes. 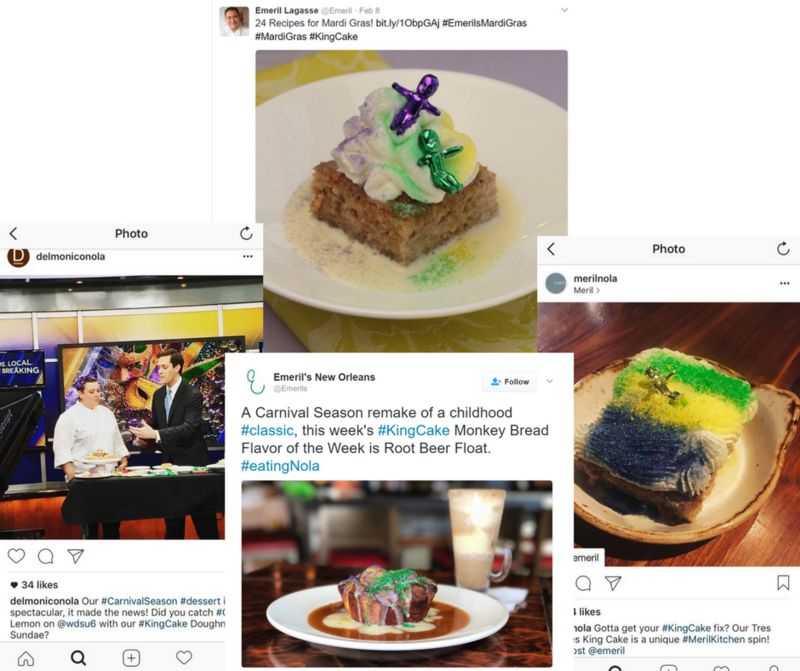 The mass consumption of King Cakes (our office included) leads to a huge influx of business for local bakeries. Each bakery has their own unique take on the traditional dessert that falls in line with their brand identity. Vibrant Sucré, classic Haydel’s Bakery, chocolatey Bittersweet Confections and piglet topped La Boulangerie are key players in the game. 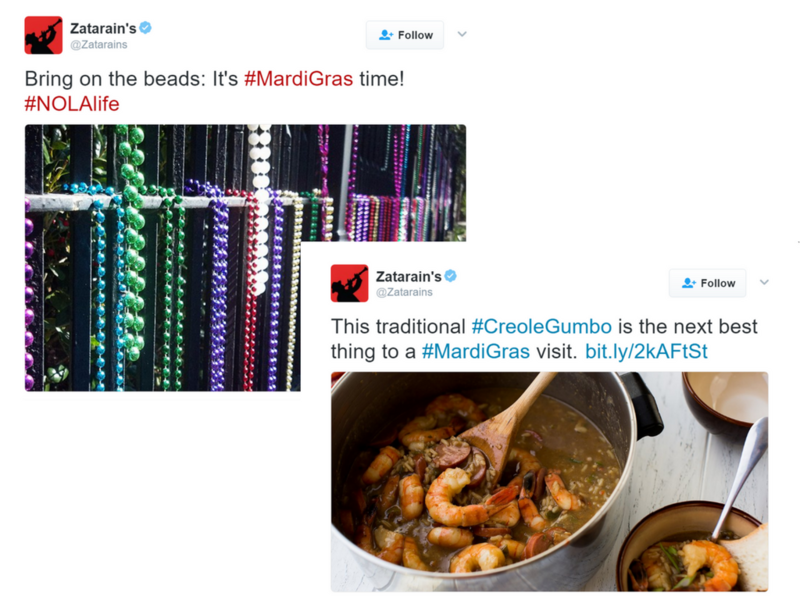 Zatarain’s allows people from Maine to Arizona to experience Mardi Gras in their own homes through their products and social postings. It’s safe to say the brand can claim the title of The Ambassador of Mardi Gras. 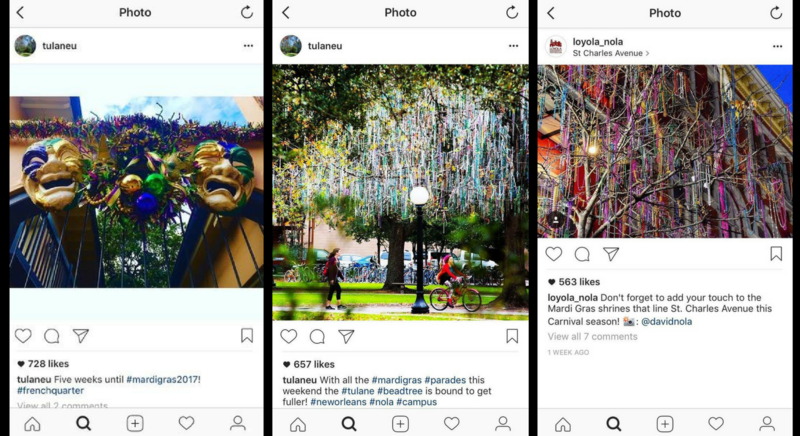 The sidewalk side campuses of Loyola University New Orleans and Tulane University have been sharing purple, green and gold inspired posts via social media. Tulane University even began their countdown five weeks out, and their campus is always ready for Carnival with their very own Mardi Gras Tree. 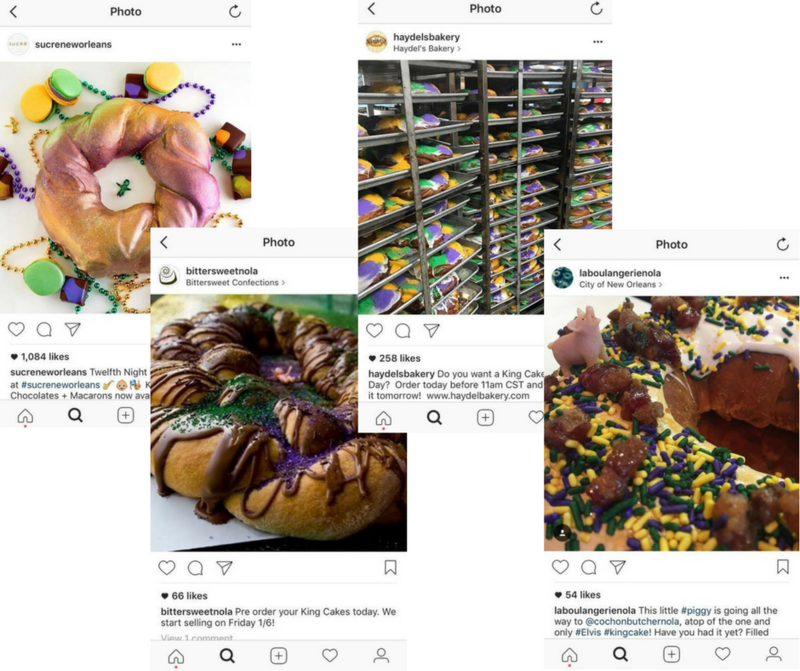 During Carnival, the grocery store chain Winn-Dixie offers King Cakes and more with their very own landing page fully dedicated to seasonal offerings. 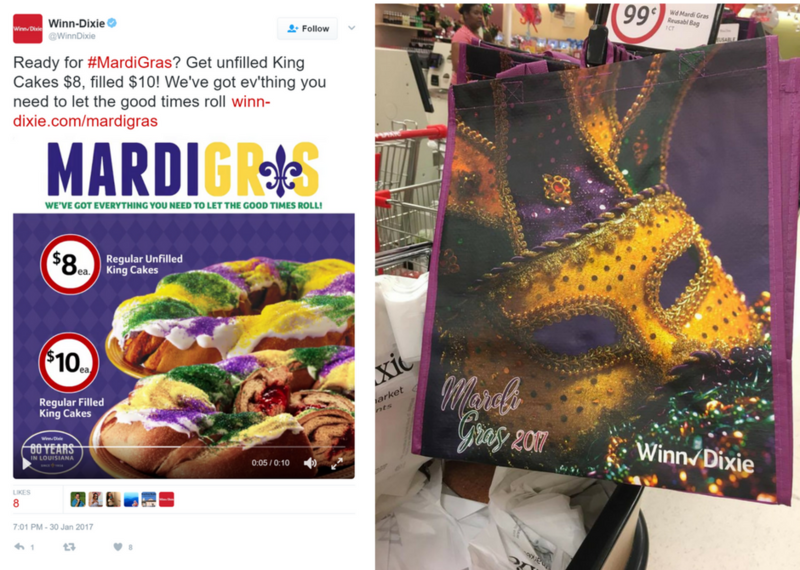 Winn-Dixie is spreading the love via social media, as well as themed reusable bags for purchase at select stores. In case you didn’t get enough, these brands are just a little something extra. 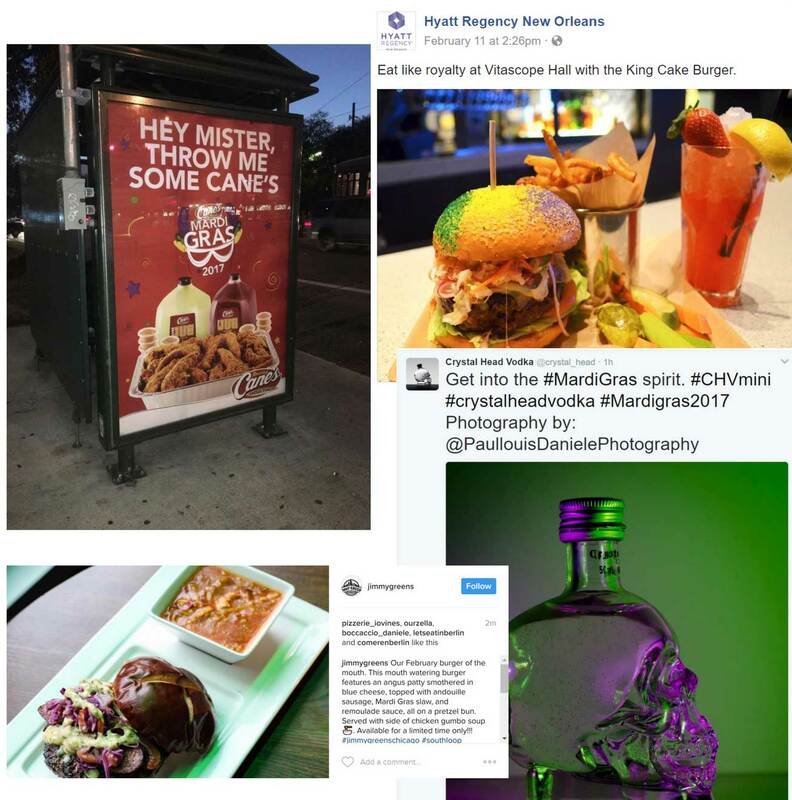 Through menu options, social postings and advertising pieces, brands near and far, such as Hyatt Regency New Orleans, Raising Cane’s Chicken Fingers, Jimmy Greens and Crystal Head Vodka – are all ready for the parades to roll. Incorporate the colors of Mardi Gras — purple, green and gold. See ya on the parade route, Laissez les bons temps rouler! 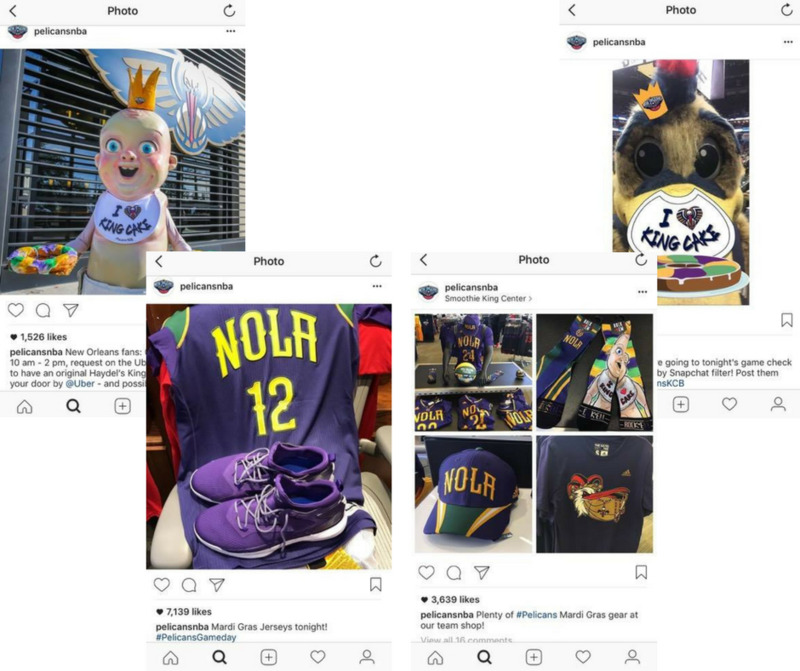 How is your brand preparing for Mardi Gras? Tweet us @DEVENEYMKTG and let us know.